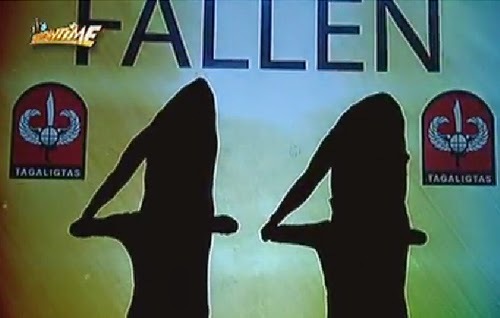 VIDEO: El Gamma Penumbra's performance on It's Showtime - Tribute to Modern Day Heroes, OFW, Fallen 44 - Balita Boss! Last week, El Gamma Penumbra impressed us in their performance in Asia's Got Talent. Today, in celebration of "Araw ng Kagitingan," the shadow play group paid tribute to Modern Day Heroes especially to millions of Overseas Filipino Workers (OFW) and to the 44 Special Action Forces (SAF) who were killed in the Mamasapano clash in January. The group from Batangas, Philippines which is known for their shadow play routine performed on "It's Showtime." They used Rocksteddy's "Superhero" as their background music. Watch the video of El Gamma Penumbra’s tribute below. El Gamma Penumbra, the Former Pilipinas Got Talent grand finalist, is now a semi-finalist in Asia's Got Talent after they got a "Golden Buzzer" from Indonesian rock icon Anggun during their audition. Asked what they felt after having a buzzer, "Napakasaya po kasi maire-represent namin ang Pilipinas," the group said. "Mas masaya rin po dahil mayroon ‘din mga taga ibang nation na sumuporta sa grupo," they added.